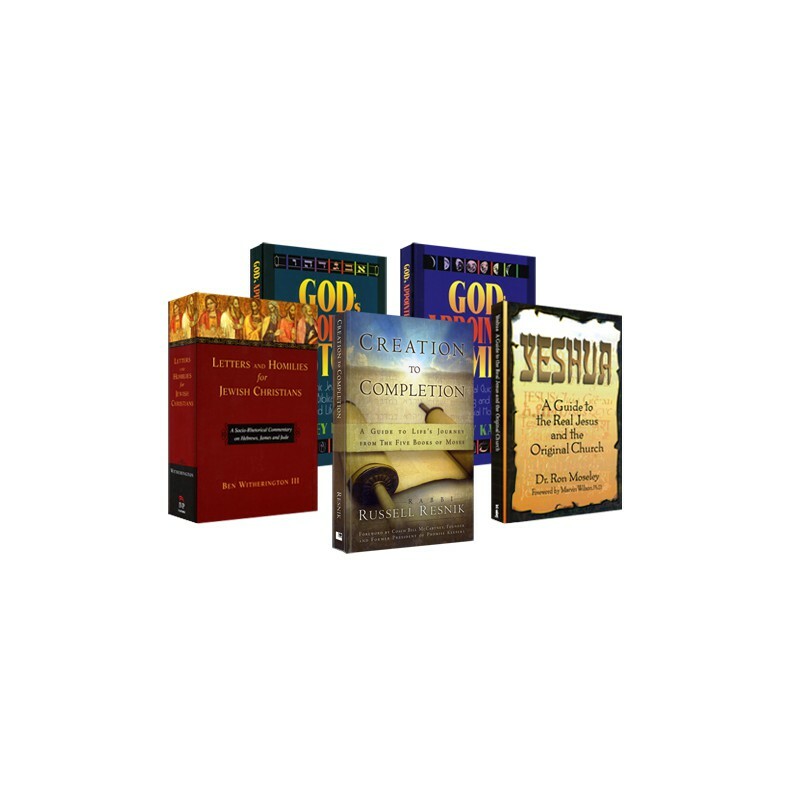 5-volumes that include: Letters and Homilies for Jewish Christians, Creation to Completion, Yeshua, God's Appointed Customs, and God's Appointed Times. Designed to help you explore the theological and practical aspects of Christianity's Jewish roots, the Messianic Collection covers everything from New Testament manners and customs to the modern-day observance of Passover and other significant feasts and holy days. In Letters and Homilies for Jewish Christians, Ben Witherington III innovatively analyzes the texts of Hebrews, James and Jude in their first century cultural setting. Witherington sheds fresh light on the documents and their character and importance as sermons to early Christians who were still heavily influenced by the Jewish society in which they lived. Throughout, Witherington shows his thorough knowledge of recent literature on these texts and focuses his attention on the unique insights brought about through socio-rhetorical analysis that either reinforces or corrects conclusions gleaned from other approaches. "Bridging the Horizons" sections point to the relevance of the text for believers today, making this volume of special value to pastors and general readers as well as students and scholars. Have you ever wondered if the Pentateuch­the Five Books of Moses­is relevant to your life? In Creation to Completion, Russell Resnik answers these questions, offering insight into the Torah. He shows that the Creator still desires his creatures to participate in bringing the Creation to completion. After each commentary, he presents a challenging thought "For the Journey." Foreword by Dr. Marvin Wilson. Includes study questions and an extensive glossary. Can be used by individuals and Bible study groups who want to learn more about the Jewish roots of their faith. Eye-opening! Are the biblical/Jewish customs just for Jews? Or, can Christians also receive blessings by observing them? This fascinating content for your PC Study Bible library explains how God's appointed customs can be part of anyone's lifestyle, Jew or Gentile. This is especially relevant to believers in Messiah, since Yeshua (Jesus) himself observed them. Includes marriage and family customs, mourning customs, and more! Each chapter offers historical background, traditional Jewish observance, relevance to the New Testament, and a practical guide to help believers observe these customs within the context of a biblical lifestyle. God's Appointed Customs is divided into two sections, Biblical Lifecycle and Biblical Lifestyle. The author, Barney Kasdan, leads of one of the world's largest Messianic Jewish congregations, and has spent a lifetime helping Messianic believers embrace an fully appreciate the roots and practices of early Christianity – many of which are fully applicable for today. The biblical holy days are not just for Jews. Christians, too, can receive the blessing of these glorious days, the greatest objects lessons in the Bible. God gave each day to teach his people about him and his relationship to them. From the Sabbath, which pictures eternity, to the popular holiday, Hanukkah, mentioned by name only in the gospel of John, the special times were set apart to bless the people of God. In this book, Barney Kasdan, leader of one of the world's largest Messianic Jewish congregations, explains every holy day described in Scripture. He teaches about the major and minor holy days, ever mindful that he is writing to both Jews and Christians. Beginning with the Sabbath, the first holy day revealed in Scripture, he writes about Passover, First-fruits, Pentecost, Trumpets, the Day of Atonement, the Feast of Tabernacles, Hanukkah, and Purim (the special day given in the time of Queen Esther). Each chapter offers historical background, traditional Jewish observance, relevance to the New Testament, prophetic significance, and a practical guide for believers, including recipes, songs, and crafts. 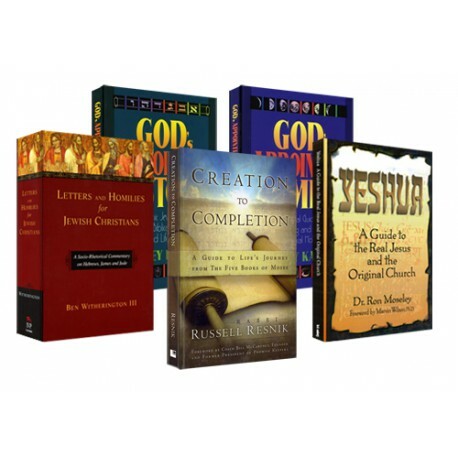 NOTE: These titles are also included in Biblesoft's deluxe Judaism and the New Testament Collection.